Map Update: Military Situation In Syria’s Quneitra Province On July 19, 2018 5.0769230769231 out of 5 based on 13 ratings. 13 user reviews. Now Russia, Iran, China and Pakistan want to stop ISIS expansion in Afghanistan while having questions about unmarked helicopters flying ISIS to Afghanistan and US are ignoring it. Does it not make sense that US has created and financed ISIS and Al-Qaeda. Any government that allied with US, UK and Israel mean they indirectly allied with ISIS and Al-Qaeda. Hope these professional global killers will go down soon. From my understanding, when you mention “Russia, Iran, China and Pakistan”, you have missed the most important one – India. Believe it or not, somehow, they are also in the fold. Assuming I am right, just under half of the World’s population !….. Karma. Indian Modi is neither male nor female. He has joined SCO but on other side India is allied with US. US never trust or help any nation. In US corruption is at extreme level. Now Modi is away from both US and Russia. 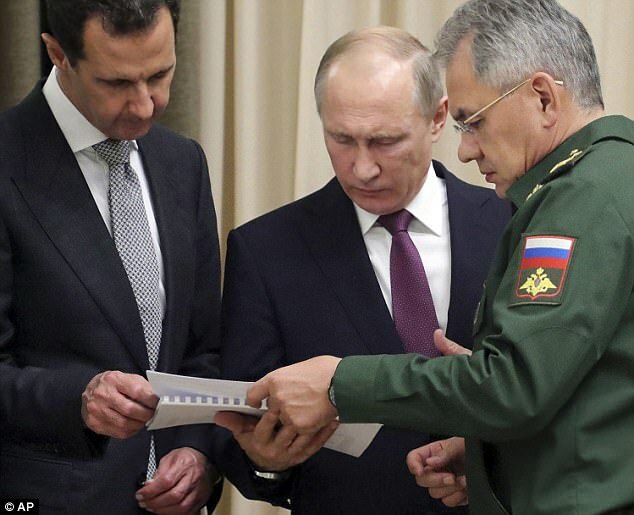 Now Assad, Putin and Russian defense minister thinking that elimination of US, NATO forces and their proxies Israel and ISIS from Middle East is necessary to stop further bloodshed because the US and their allies main purpose is to steal lands and Petrol from Middle East countries and stopping them by wars and chaos from education and development. Assad could immediately withdraw from any agreement with US, NATO and Israeli plunderers including 1974 agreement to clear the route for liberation of Golan Heights. Great Going SAA, Russia, Iran, Allies & Syrian People… Your Fighting, Bloodshed & Suffering has Brought the Empire on its Knees… and Made the invisible….Visible…the Walls are coming Down… Western Puppeticians & Deep State in Panic…. Anything that rolls back zionists and their Isis buddies, can only be for the good of humanity. But these scumbags are like a cancer,they invaded every organ,and operate in deceptive ways,so the battle will be long and hard.Syria is a good start.